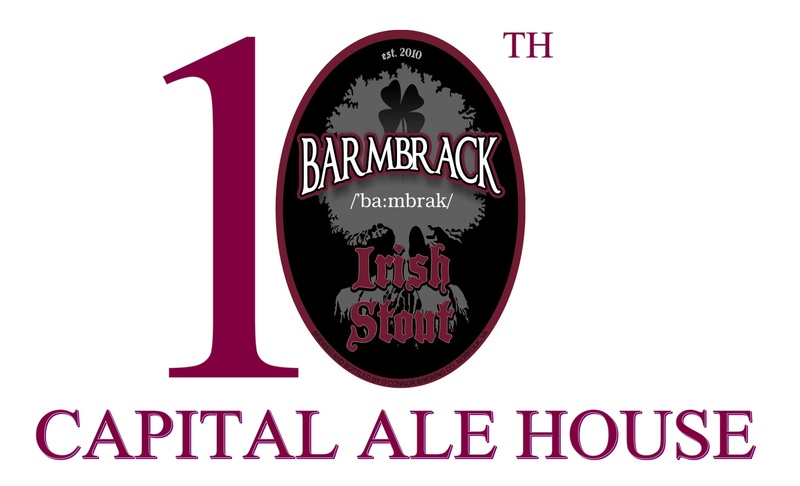 Just in time for St Patrick’s Day, Capital Ale House will unveil it’s third tenth anniversary beer on Friday, March 16th at 6pm. Fittingly, the beer will be from O’Connor Brewing from Norfolk, VA. Barmbrack (/ba:mbrak/) Irish Stout was brewed using an old family Irish bread recipe using raisins, black currants, and cinnamon. You can expect notes of chocolate melding with the fruitiness from the raisins and black currants followed by a pleasing cinnamon finish. While this high gravity (8.5% ABV) Irish stout will be tapped at all Cap Ale locations, you will only be able to meet brewery owner Kevin O’Connor at the Downtown location. For more information, go to the Facebook event.